How to Submission - บัณฑิตวิทยาลัย มหาวิทยาลัยขอนแก่น Graduate School Khon Kaen University. The article submitted to KKU Research Journal (Graduate Studies) for publication must be a research article, short communications research articles, and review article in science and technology, health science, and engineering. The submitted article must not have been published in any other journal nor will it submitted to any journal for publication. Both Thai and English article are acceptable. The article submitted to KKU Research Journal of Humanities and Social Sciences (Graduate Studies) for publication must be an academic article, review article, and book review in Multi-disciplinary program in humanities and social sciences, economics, business administration and management, education, and psychology. The article is never published in any other journal, nor will it submitted to any journal. Thai or English article is acceptable. 2.1 Title must include both Thai and English. 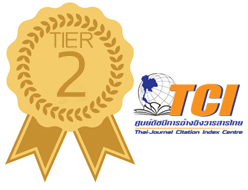 2.2 Author(s) designate the name and surname of the author(s), both Thai and English, without titles, qualifications, or posts but the advisor with Ph.D. can abbreviate as ‘Dr.’ The article must designate correspondent e-mail of the author(s). 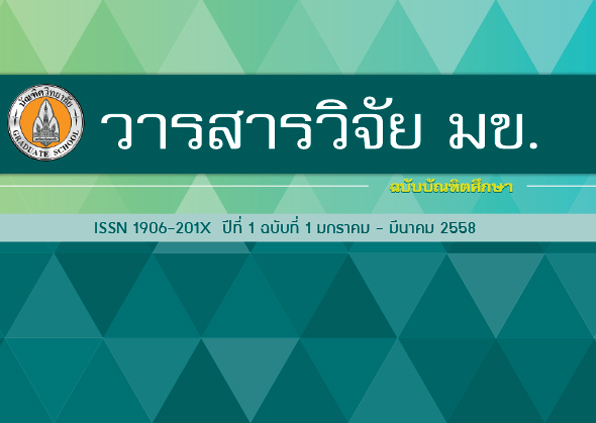 2.3 Abstract must include both Thai and English and shall not exceed 1 page (A4 paper) which contain all topics in 2.6. 2.5 Author Affiliation, and advisor as a co-author, must include in Footnote using (*) before each affiliation. For student, the affiliation must name the enrolled/graduated program study. For advisor (as a co-author) must affiliate academic title, qualification (if any), and organization. 3. Manuscript is to have a maximum length of 12 pages, printed in A4 paper. The page setting is to be 1.2 inch for the top and the left and 1 inch for the bottom and the right with on single side, set for single space, using 14 point of Angsana New for both Thai article and English article. Submission must be via online application only. 4. Tables and illustrations must insert in article, or at the back of the article (after references) as appropriate. The tables and illustrations is to be clear and must be arranged in order of those appear in the main text. The name of the tables should be at the top of table. All descriptions of illustrations should be placed at the bottom. Note: In case all article content are in English 2.1-2.5 must be in English only. … An Analysis of the Elements in Thai  …. 2. 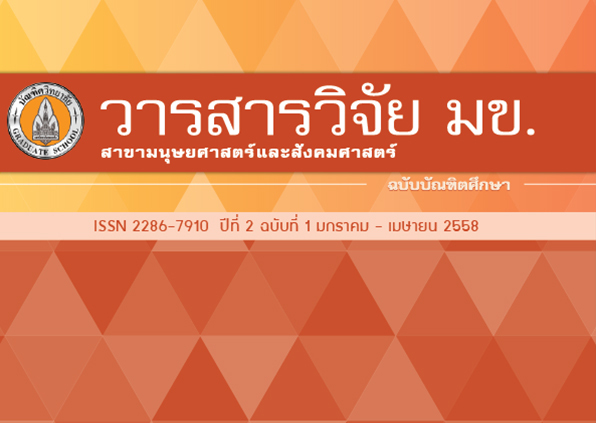 Patta T, Nuchanat M. The relationship between emotional quotients and sexual behavior among adolescent in Bangkok. Thai Mental Health J. 2007; 15(1): 22. Thai. ให้ใส่ชื่อผู้เขียนทุกคนถ้ามากกว่า 6 คน ให้ใส่ชื่อ 6 คนแรกตามด้วย และคณะ หรือ et al.